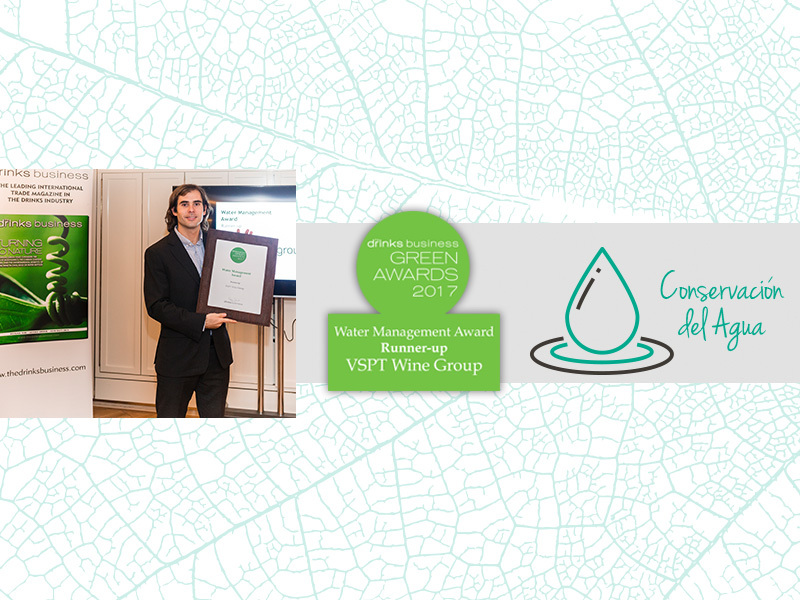 During the 8th version of the Green Awards, which were celebrated in the city of London, United Kingdom, VSPT Wine Group received second place in the “Water Management” category. The competition is held by the prestigious British magazine: The Drinks Business. It is one of the leading global initiatives to raise awareness about environmental issues in the wine, beer and spirit industry. In 2016, VSPT received the “Green Company of the Year” award as well as winning the “Renewable Energy Implementation” category and in 2014 the “Ethical Company of the Year”. In this version, the wine group was a finalist in the Biodiversity category, and was recognized as one of the companies with the best Water Management in the industry. This was due to various initiatives implemented to reduce water use, as well as reducing the impact on the local environment where the winery operates. “We are very proud to receive a new acknowledgement in this important international competition. It once again demonstrates VSPT Wine Group’s commitment to sustainability. Furthermore, we excelled in a new pillar of our program, which we will continue to strengthen, along with new initiatives”, said Andrea Zwanzger, Sustainability Manager at VSPT Wine Group. Among practices that made VSPT Wine Group worthy of this award, were the new technologies for plantation redesign under an integrated irrigation strategy. This has allowed the winery to implement rational water use, which maximizes productivity and reduces losses.